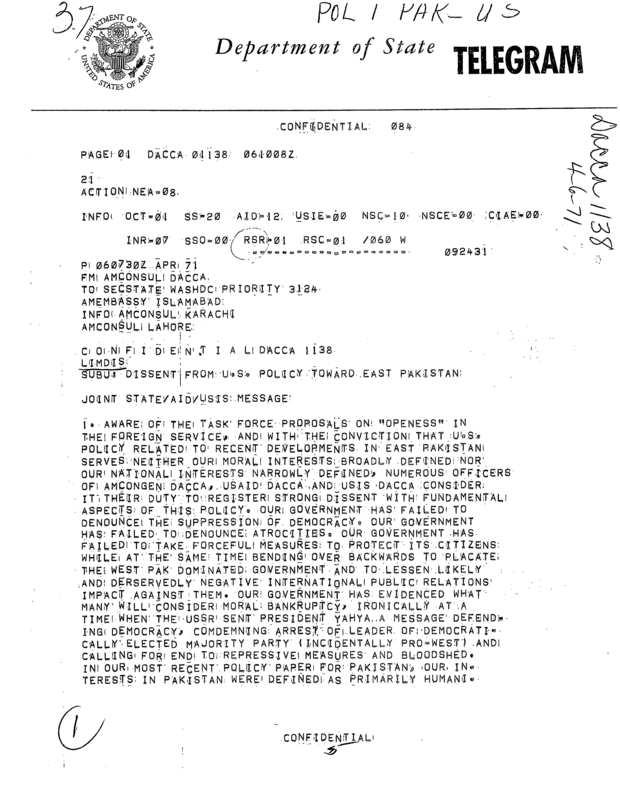 WholeDude – WholeVillain: Archer Kent Blood, the US Consul General at Dacca, East Pakistan sent this “Blood Telegram” to question the US Foreign Policy that utterly failed to denounce the atrocities, the massacre of innocent, unarmed civilians, mostly Hindu minority community living in East Pakistan during 1971 by the military rulers of Pakistan. He sent this telegram as his moral duty to uphold the humanitarian principles. WHOLEDUDE – WHOLEVILLAINS: Richard Milhous Nixon, 37th President of the United States(1969-1974), and Dr Alfred Henry Kissinger, the National Security Adviser(1969-1975) deserve to be known as Whole Villains for not responding to the problem of genocide in East Pakistan( now known as Bangladesh) during 1971. Their actions are evil, unprincipled, and make mockery of the US Constitution. The word ‘Villain’ describes a wicked or unprincipled character in a novel, play, etc., who opposes the protagonist or hero. Villain is someone or something regarded as the cause of a problem, difficulty, injustice, or great crime. It speaks about the evil nature of a person, very bad, disagreeable, or objectionable and such a person is often characterized as a ‘scoundrel’. I am pleased to share Ashok Malik’s review of the book “The Blood Telegram – India’s Secret War in East Pakistan” authored by Gary J. Bass. 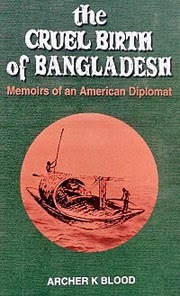 The book reveals Archer Kent Blood, the chief US diplomat in Dacca as the hero or protagonist who had suffered on account of the actions of President Nixon and Dr. Kissinger, the National Security Adviser during 1971 . The real character and nature of President Nixon and Kissinger as ‘Villains’ can be easily discerned by reading this historical story titled “The Blood Telegram.” The book talks of the courage and uprightness of Archer Blood who was a first-hand witness to the genocide in East Pakistan, the oppression of Bengali speaking Pakistanis, the mass murder and elimination of Hindu minorities and the humanitarian crisis that spilled into a massive refugee problem in India. Mr. Blood meticulously reported the massacres, the bloodshed in East Pakistan and had urged the US administration to take action to stop the military dictator of West Pakistan. Mr. Blood suffered greatly for his efforts and devotion to work. He was ignored, singled out and victimized by Dr. Kissinger. Mr. Blood’s career in the US State Department was utterly ruined and destroyed. This book is the story of what Mr. Blood did and how he suffered for being true to his conscience and his calling. It must be noted that the men and women who make up the State Department or work for the Central Intelligence Agency(CIA) are often conscientious, well-meaning folks, schooled in the simplicity and goodness of small-town, middle class life in the heart of America. They are moral people, keen to use their country’s power to make the world a better place. Such conscientious people who belonged to the Central Intelligence Agency(CIA) had rendered their service at a military organization in India known as Special Frontier Force or Establishment No. 22. Both the US President Richard M. Nixon, and Dr. Henry Kissinger, the National Security Adviser must be recognized as “WholeVillains” for their actions were motivated by an unprincipled desire to befriend Communist China without any concern for its involvement in killing its own people during the “Great Leap Forward” program of 1957-58, and during the infamous “Cultural Revolution” of 1966-69. The story reveals how Nixon and Kissinger were blinded by hate for India and Indians. They had visualized Pakistan as an essential ally and gateway to Communist China and had totally ignored the problem of human suffering in the Land that took a very painful birth as Bangladesh after India’s victory in a military battle during November-December 1971. 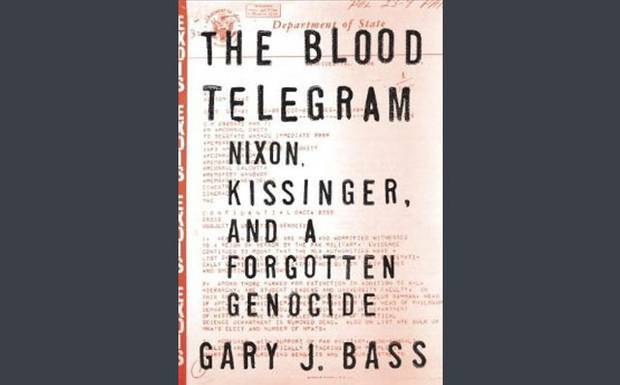 Gary J. Bass, Professor of Politics & International Affairs at Princeton University is the author of the book titled “The Blood Telegram.” He described the heroic role of Archer Kent Blood, the US Consul General in Dacca(Dhaka), East Pakistan during 1971. Archer Kent Blood(March 20, 1923 to September 03, 2004) was the US Consul General, the Chief US Diplomat in Dacca, East Pakistan during 1971. WholeDude – WholeVillain: Massacre in East Pakistan during 1971 is fully revealed in this book. This Genocide must not be forgotten and the Villains must be exposed. 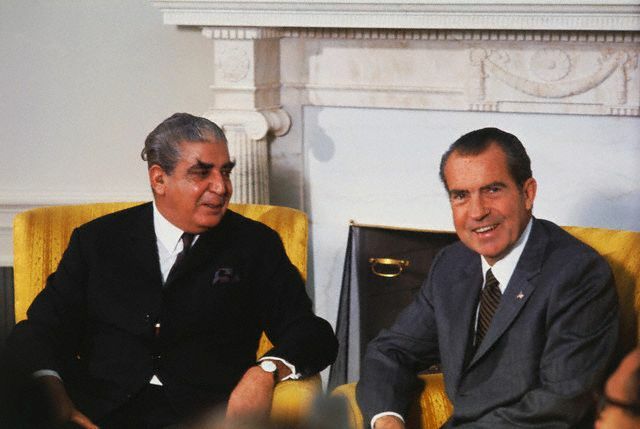 WholeDude – WholeVillain: The role of General Yahya Khan, the military ruler of Pakistan, and US President Nixon in the brutal killings of unarmed civilians in East Pakistan during 1971 is now fully revealed. This is their photo image dated October 24, 1970. In this relationship, the US has totally disregarded the value of Democracy and showed no concern for Human Dignity and ignored its traditional role of defending Human Rights. WholeDude – WholeVillain: The mockery of the US Constitution. Dr. Henry Kissinger is the Arch Villain in this story and he is seen in this photo meeting the leader of another country while the responsibility of conducting diplomacy belonged to the US State Department. Kissinger flew to China from Pakistan and had used Pakistan as a gateway to Communist China. Both of these Villains are responsible for the millions of people who died in the land called East Pakistan during 1971. 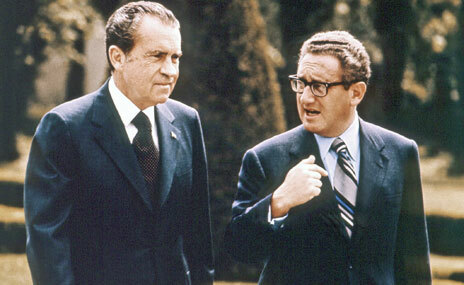 Kissinger had misused and abused his position as the National Security Adviser. In clear violation of the US Constitution, he had usurped the power of the Secretary of State to conduct secretive, diplomatic negotiations with foreign leaders. During 1971, I had served in a military organization called Establishment No. 22, or Special Frontier Force which in reality represents a military alliance/pact between India, Tibet, and the United States to contain the military threat posed by Communist China’s illegal occupation of Tibet. 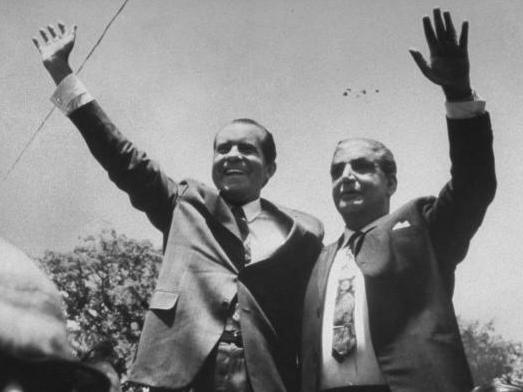 It must be noted that Nixon had served as Vice President for two terms 1953-1956, and 1957-1960, during the presidency of Dwight David Eisenhower. President Eisenhower and his Secretary of State John Foster Dulles continued President Truman’s policy of containing Communism. In Southeast Asia, Eisenhower supported and had employed the Central Intelligence Agency(CIA) to organize the Tibetan Resistance Movement since 1957-58. Later, President John F. Kennedy took the initiative to formulate the military alliance with India and Tibet that created the Special Frontier Force during 1962. The Central Intelligence Agency(CIA) has represented the US as our military partner and took the initial responsibility to impart the necessary military training to all personnel. The mission of this Organization is that of fighting a war to evict China from the Land of Tibet and the men are not used for spying, or gathering intelligence as undercover agents. The CIA has used the services of this Organization to monitor the nuclear activities of Communist China as China was conducting underground nuclear tests inside Tibet. During 1971-72, in a complete reversal of its foreign policy, the United States allowed the National Security Adviser to change the course of the country and to make decisions on foreign relations without giving any role to the duly appointed Secretary of State. Kissinger used the infrastructure of US State Department to orchestrate a policy that has ignored the vital US national interests and its commitment to Democracy and Freedom. Kissinger had chosen to support Pakistan’s military dictator and had used him to gain access to the Communist Leaders in Peking that paved the way for President Nixon’s visit to China during February 1972. This book reveals as to how Nixon was baffled and annoyed by American sympathies for India and he communicated this opinion to Pakistan’s military dictator General Yahya Khan and observed that Americans could be suffering from a “physiological disorder.” Nixon and Kissinger encouraged other countries to illegally ship their US supplied weapons to Pakistan in violation of US laws that prohibit such transfer of military equipment. 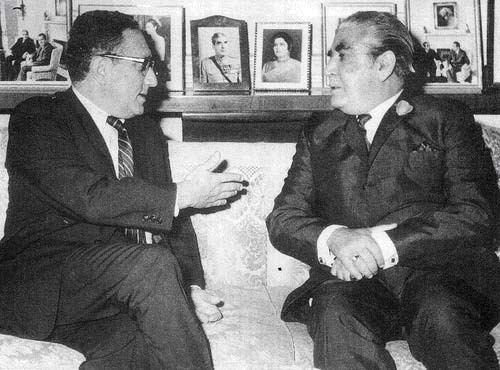 Kissinger had urged China’s Foreign Minister Chou En-Lai to open a second front and attack India to stop India from giving assistance to the people of East Pakistan. As India initiated the Liberation of Bangladesh, Nixon sent the US Seventh Fleet into Bay of Bengal without any concern about India’s logistical support to the US Army that was fighting a bloody war in Vietnam, a war in which Communist China had played a big role to ensure the defeat of the US Army. 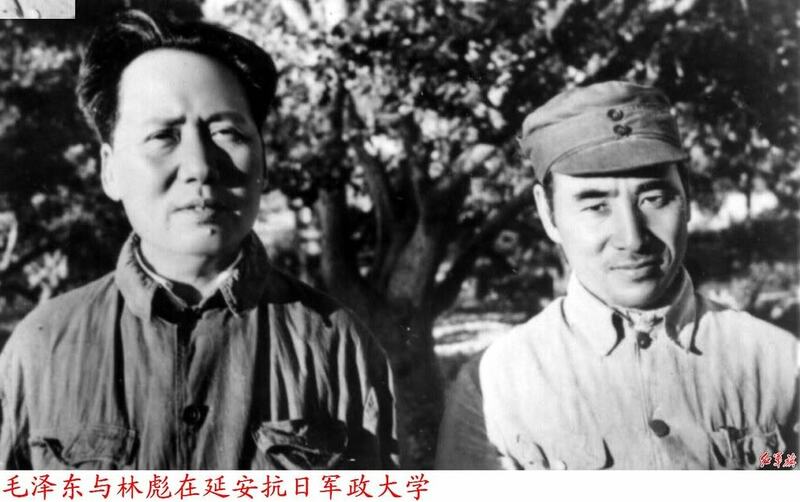 WHOLEDUDE – WHOLEVILLAIN: During April 1969, Chairman Mao Tsetung had selected his Defence Minister Lin Biao as his successor and Lin became the Vice Chairman of the Communist Party. Both of them must be held accountable for the atrocities, the crimes against humanity perpetrated in the name of “Cultural Revolution” during 1966-69. WHOLEDUDE – WHOLEVILLAIN: Lin Biao Defence Minister and Communist Party Vice Chairman, the successor of Chairman Mao Tsetung was apparently assassinated by Prime Minister Chou En-lai and Chairman Mao Tsetung on September 13, 1971 as he tried to escape from the country. 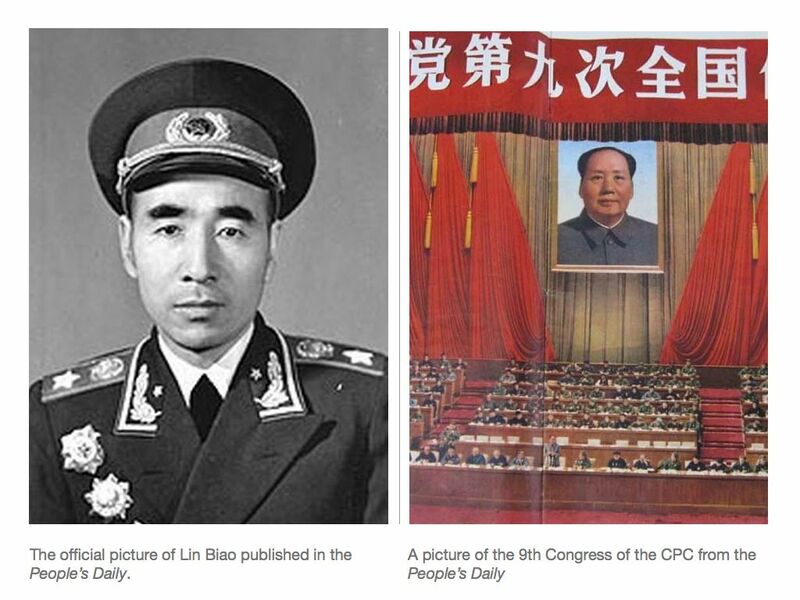 After his killing, most of the People’s Liberation Army’s Generals of high command were purged. It totally amazes me to know that the US National Security Adviser Henry Kissinger had requested Prime Minister Chou En-Lai to launch a military attack on India during that time to prevent India from taking military action to resolve the humanitarian crisis in East Pakistan. 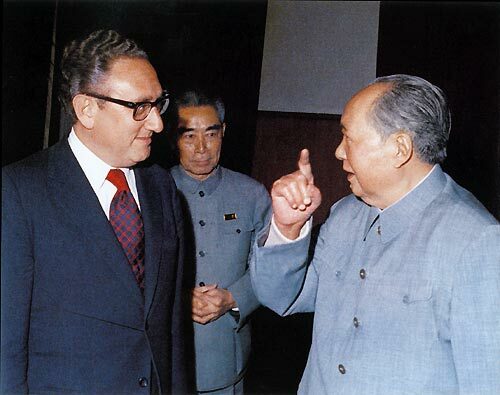 During 1971, the US National Security Adviser, Dr Henry Kissinger had kept his visit to Peking as a big secret. However, at Special Frontier Force, Establishment No. 22, we were fully aware of his activities. The Central Intelligence Agency(CIA) officials who were serving at Establishment No.22 as military instructors were abruptly asked to return to the United States. Communist China had insisted that it would agree to meet Henry Kissinger and receive him in Peking only after the United States removes all its personnel from India who at that time were employed in the Special Frontier Force/Establishment No. 22. After their departure, India and Tibet had agreed to jointly launch a military action in Chittagong Hill Tracts to initiate the Liberation of Bangladesh and to stop the genocide in East Pakistan. 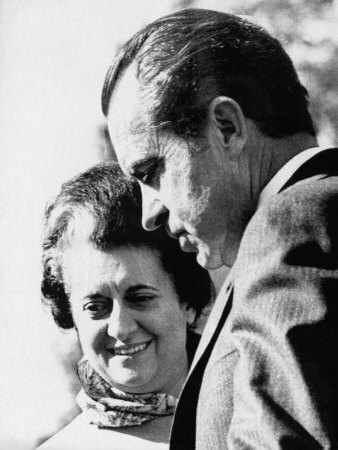 WholeDude – WholeVillain: On November 04, 1971, India’s Prime Minister Indira Gandhi made a final attempt to get support from President Richard Nixon to resolve the humanitarian crisis in East Pakistan. By that time, US had already decided to remove all its CIA personnel who were employed as military instructors at Special Frontier Force/Establishment No. 22. However, we began our military operation to initiate Liberation of Bangladesh without any assistance from the US personnel deputed by the CIA. 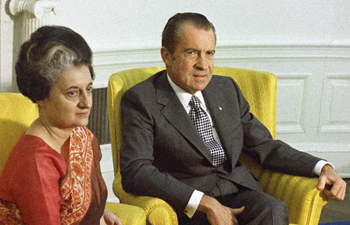 WholeDude – WholeVillain: India’s Prime Minister Indira Gandhi could not obtain any support from US President Richard Nixon during her visit to Washington D.C. on November 04, 1971. However, it did not deter Special Frontier Force/Establishment No. 22 from initiating our military action to dislodge Pakistan’s Army from East Pakistan. We began our military action on November 03, 1971, a day before this meeting. WHOLEDUDE – WHOLEVILLAIN: These two leaders, the US President, the military dictator of Pakistan must be held accountable for the genocide in East Pakistan during 1971. 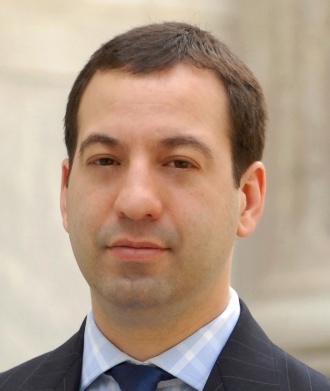 WHOLEDUDE – WHOLEVILLAIN – ORIGINAL SIN: The mockery of the US Constitution. The US National Security Adviser, Dr. Kissinger had misused and abused his official position to meet foreign Heads of State to formulate US foreign relations without the participation of the US Secretary of State. I call this Villainous act as “Original Sin”. Both Chairman Mao Tsetung, and Prime Minister Chou En-Lai were leaders of the “Cultural Revolution” during 1966-69 that participated in crimes against humanity. WholeDude – WholeVillain: “The Cruel Birth of Bangladesh” by Archer Kent Blood, the US Consul General in Dacca during 1971 describes the Villainy, the detestable acts of Pakistan’s military generals, and US President, and National Security Adviser. India launched a Secret War in East Pakistan to respond to the huge humanitarian crisis which could not be resolved. United States pretended its ignorance of this whole problem. This military operation was given the code name Operation Eagle. On November 03, 1971, while India’s Prime Minister was visiting Washington D.C. in a final bid to enlist the support of President Nixon, Special Frontier Force without the US personnel moved into Chittagong Hill Tracts. President Richard Nixon had failed to endorse our military action, but we executed this military action using military equipment, field gear and rations provided by the United States. The infantry weapons and all other tools that we had used were the same as those used by the US Army in its Vietnam War. We prevailed in the battlefield and forced Pakistan’s Army to withdraw from their entrenched positions. The official war of India with Pakistan was declared by India’s Prime Minister on December 03, 1971. Reference: National Security Archive Electronic Briefing Book No. 79. The Tilt: The U.S. and the South Asian Crisis of 1971.